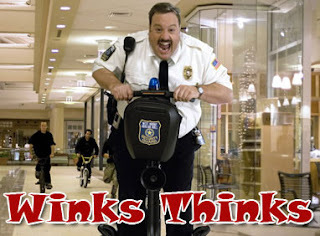 Winks Thinks: The Blart Winkler Edition ~ The Bucky Channel - The World of Sports from Wisconsin's Perspective. A recounting of what may have been the worst experience of my life, explaining my latest crush, and calling out tennis. All this, and more, in the latest edition of Winks Thinks.